This peaceful GATED community is in an excellent school district. BRING YOUR BOAT! Just 7 miles from Lake Lanier Marina.. 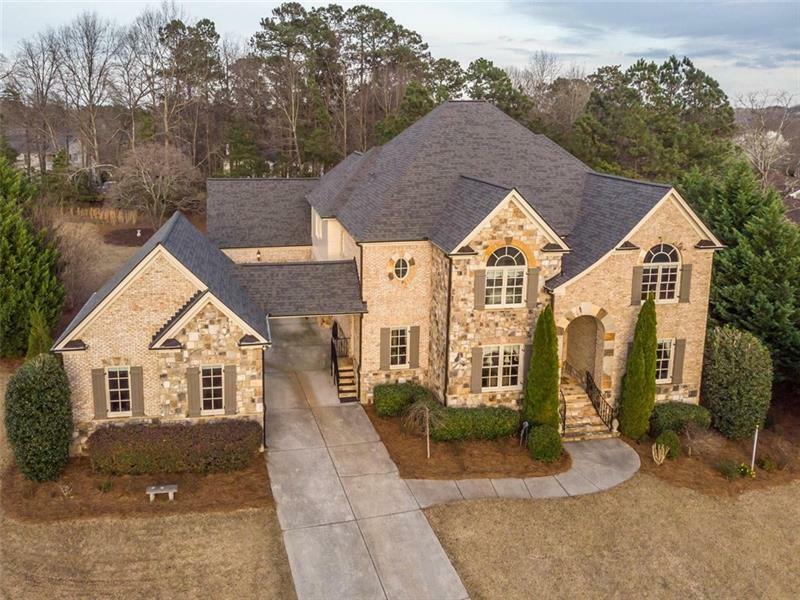 The interior has detail in every room starting with the gourmet kitchen, 2-story family room, 2 MASTER SUITES on main and upper, & TEEN SUITE on lower. There is a large formal dining room, 5 stone fireplaces, Billiard Room, Media Room, Exercise Room and more. The floor plan is fabulous and flexible with 2 LAUNDRY ROOMS on the main and upper floors. 2-two vehicle garages & private, flat back yard. NEW ROOF & exterior paint 2019. This is a MUST see! A representative from Metro Brokers has received your request to visit 2885 Cambria Court on at .